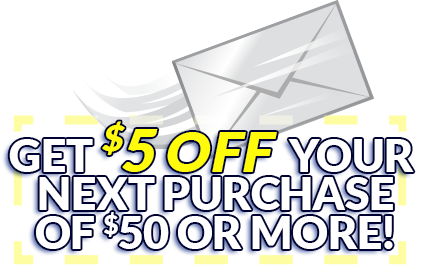 Join our mailing list and get a $5 OFF COUPON! Plus each week you'll get our Weekly Top Picks, Great Recipes, Coupons, Healthy Living and Cooking Tips & More! Join Our Mailing List And Get A $5 Off Coupon! Healthy Living and Cooking Tips & More! Enter your email address to save your shopping list. Add an item to start your list or enter your email to retrieve a saved list. Note: This Shopping List is for your convenience when shopping in store. If you are looking to purchase items online, please visit our Click-N-Shop page to order online. Feed a family of 4 for around $10! Place corn (not drained) in 1-1/2 quart casserole dish. Add uncooked rice, half of the chopped onion. Over this spread 1/2 can of the tomato soup. Then crumble up the ground chuck (uncooked) and add to dish with the rest of the onion, salt and pepper. Spread the rest of the tomato soup and pour 1-1/4 cans of water over all. Place 2 strips of bacon over that. Cover and bake at 350°F 1-1/2 hours. Save by using Minute Rice and Serve with Broccoli Crowns. In large skillet brown the pork chops, covering them with Season-All to taste and Worcestershire sauce. While chops are browning, dissolve the beef cube in the boiling water. In a bowl, mix with the remaining ingredients. Remove chops from the skillet and set aside. Turn the heat down to low. Pour the rice mixture into the skillet; place the chops on top. Cover the skillet with a lid, simmer on low heat 45 minutes, or until done. During the cooking, add water as needed to keep the mixture from drying out. When the rice is done and the chops are tender, serve. Save by using Success Rice and Serve with Huntsinger Farms Red Potatoes. In a sauce pot or pan, melt butter and add chopped parsley and thinly sliced garlic over low-medium heat until butter has melted and not browned. Spray a casserole or baking pan with Pam. Pre-heat oven to 375°F. Place fillets in baking pan and pour melted butter, garlic and parsley sauce over all. Add 2 tablespoons of tomato sauce to the tops of each fillet. Bake at 375°F for 20 to 25 minutes or until fillets flake easily. Save by using Crystal Farms Butter and Serve with Barilla Pasta. In large skillet over medium heat saute chicken in oil and butter, turning once, about 5 minutes or until opaque. Remove from skillet. Top each thigh with a slice of ham, then cheese cut to fit; set aside. Stir soup into pan drippings until smooth. Return chicken to skillet, cheese-side up. Cover; simmer 20 minutes or until meat is fork tender (cheese melts down into sauce). Serve with noodles, spooning sauce over all. Save by using Stella Baby Swiss Cheese and Serve with Fresh Express Baby Blends. © 2014 - 2019 Boyer's Food Markets. Plus each week you'll get our Weekly Top Picks, Great Recipes, Coupons, Healthy Living and Cooking Tips & More!